You can pull a report of the data that parents or staff have entered into Kinderlime. 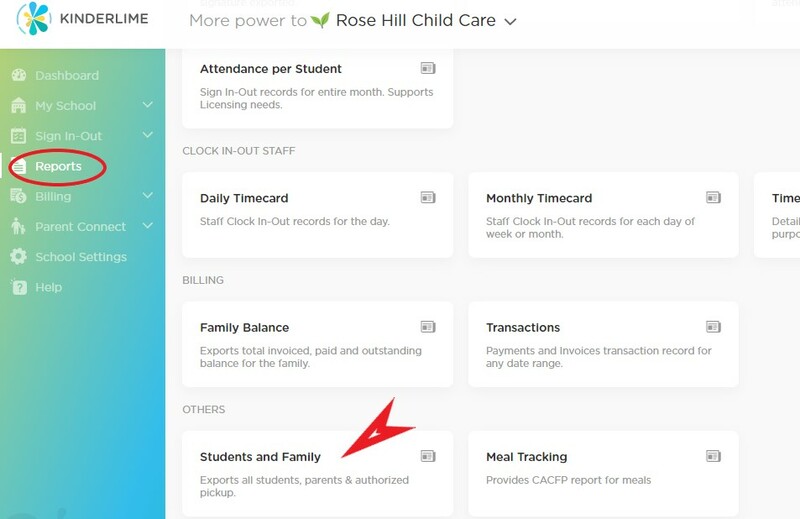 Go to Reports (circled in red below) and click on "Students and Family" (red arrow below). Whenever you run a report, a little window will appear on the bottom right of the page. Click here to access your report (red arrow). The report will also populate at the top under Recently Generated Reports (circled in red).